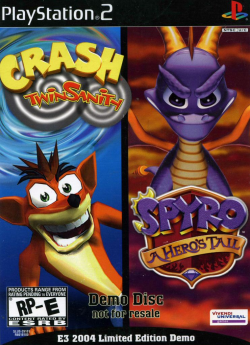 Game description: This disc includes demos for Crash Twinsanity and Spyro: A Hero's Tail. Originally released for the 2004 Electronic Entertainment Expo. This page was last edited on 23 January 2016, at 22:22.